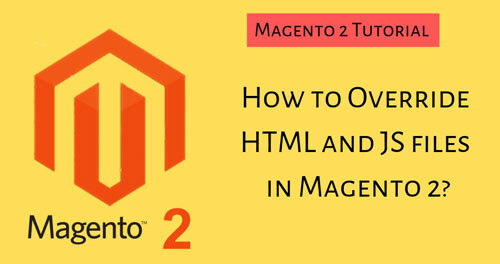 ﻿ How to Override HTML and JS files in Magento 2? Now coming to the point, how can we override html and js in Magento 2 to customize it or build new themes. We will explore this by creating a new module. Let call this module "ModuleOne". Now we can create module.xml in etc folder with the below contents. Now for this blog, we are taking a very simple example of customizing the Magento top menu "minicart" block. We will see that it has a qty input field, where we can change the qty and update it. In order to show the override feature, we will show the qty as plain text, and display the input field when we click on it. So to implement this feature we would need both html and js change. Please note that we are not covering CSS here, as it is a big topic in itself and will be covered in next article. So first we will see the screenshot of what we are trying to do. Check below screenshot where the qty input field is in red box, we want to hide that box and show plain qty. So the code for rendering the qty is in vendor/magento/module-checkout/view/frontend/web/template/minicart/item/default.html on line 74. Change the display to none with the below code. Please note that the line numbers may differ. At the end of this blog, I will share the complete code for this article. Now we will copy this file to app/code/Pravams/ModuleOne/view/frontend/web/template/minicart/item/default.htmlAnd then add the below code below line 82, add a "span"
Here we have attributes to the span tied with data-bind. The first one is "id" which is the element id, then we have the "data-cart-item" this is set to be the cart item id, which is unique for every cart item. After that we have "text" which is set to qty variable that is how we are getting the qty value in the span text. This will add a span next to "Qty". Now Magento does not know that you have customized this file. For that requireJS comes to help. Here first we tell the file from Magento which is to be overridden then ":" and then the updated file from your module. We should see the change when we refresh the page. If not, you can try magento setup:upgrade . The best part about this command is that not only it registers the module, it will also clear pub folder for you. If you can see the qty plain text, the override has worked for you. Next step would be to add a click event to this text and show the input field. And when the user updates the qty and clicks on "Update" button. It updates the qty using ajax. The span we have created has to be declared in the vendor/magento/module-checkout/view/frontend/web/js/view/minicart.js so we can add a click event to it. To override this file copy it to app/code/Pravams/ModuleOne/view/frontend/web/js/view/minicart.js. Now on line 67 there is an item object with qty and button as its properties. We will add span here with the below code. Note that "cart-item-qty-span" is the name of the span class we created in the html file. Next step would be add the click event code. For the minicart, all such events are in vendor/magento/module-checkout/view/frontend/web/js/sidebar.js. So lets copy this file to app/code/Pravams/ModuleOne/view/frontend/web/js/sidebar.js. And add another js entry in requirejs config like below. This should make things clear how overriding js works in Magento. Now in sidebar.js we want to add our click event. So in _initContent(), we have all those events. At the end of this function, we will add our function below. "this.options.item.span" refers to that span we created through minicart.js. "$(event.target)" will give us the cart item id. By using this id we set the display of the span and input fields accordingly.